Fundy: The Summer Concert Series continues July 28th with The Tortoise, The Hare & The Millionaire. 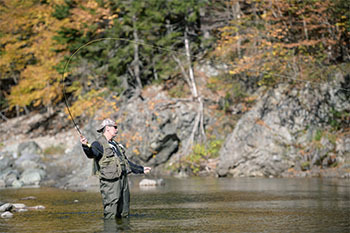 Learn to Flyfish course begins August 1st. Kouchibouguac: Art In The Park July 23rd (today) at Kellys Beach from 2 pm to 3:30 pm. Christmas In July on the 25th with traditional Acadian meals for sale at the event tent in the South.